Quicker top ups and card-less commutes will improve the passengers’ experience, making their travels safer and faster. Victorian passengers will now have more options to quickly top up their myki and check their balances as 40 more Quick Top Up and Enquiry Machines (QTEMS) are to be installed across the train and tram network. 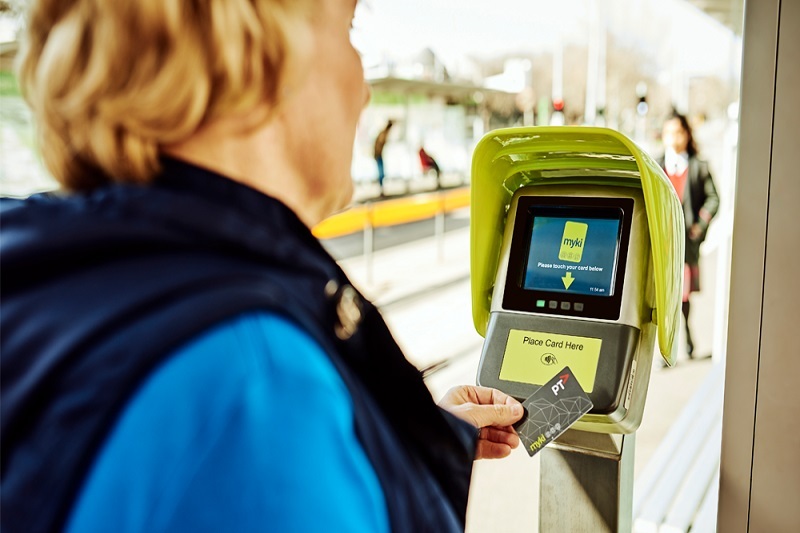 According to a recent press release, the rollout of the new machines will allow passengers to top up their myki using contactless payments in as little as 15 seconds. Myki is a reloadable credit-card sized contactless smart card ticketing system used for electronic payment of fares on most public transport services in Melbourne and regional Victoria. The fast, user-friendly machines will be installed at train stations and trams stops in Melbourne’s CBD, western, northern and south-eastern suburbs and in Bendigo. The additional 40 machines will increase the total number across the network to 90. The Minister for Public Transport Melissa Horne said that the installation of these fast, new machines is part of a wider program of works currently being rolled out to improve the overall travel experience for all Victorian public transport users. With only as little as 15 seconds for the entire process of using these machines, the time it takes for that last-minute dash to the platform has been reduced. The 90 QTEMs that will be operating by the end of March are on top of the existing 580 myki vending machines, 720 retail outlets and 83 premium stations on the metropolitan train network that also accept cash as payment. Even better news for Victorian commuters is how Android smartphone users can start using their phones to pay for travel on Victoria’s public transport network starting 28 March. Mobile myki will make it easier for passengers since they do not have to carry a separate physical card to travel. Moreover, they will be able to top up quickly when funds are low. The new technology will allow passengers to travel with a Full fare, Concession, Child or Senior myki using both myki Money and myki Pass. The Minister said this is the next step in building a smarter, more reliable public transport network. The Victorian Government aims to get on with the things that will get Victorians home safer and sooner. The feedback showed an overwhelming majority of trial participants were highly likely to recommend it to friends or colleagues. The existing physical myki card can still be used across the network.